One part of your job as a legal professional, you are always looking for a way to make your law firm better. Improve its functionality, lower its costs (and thereby, increasing its profit), and quite possibly the single most valuable asset to improving the overall appeal of your firm is the streamlined use of technology. One way you may not have considered up to this point is how automated timekeeping could be one key to the very big door of success for your law firm. Why automated timekeeping? What benefits could it offer that are so outstanding? For one, the benefit of automated timekeeping are just that – it’s automated. Automated timekeeping guarantees that your company will be paying for the right amount of time, every time. Whereas some companies could falter under and be hampered by the impracticality of human error, automation in your timekeeping almost literally removes the human element from the equation and the errors that could come as a result. As a side note, it also keeps the people of your company honest on their use of company time. Employees who might have made an unfortunate habit of being late may find themselves more driven to arrive on time or perhaps even early as a result of automated timekeeping and the inability to manipulate their own numbers. Automated time-keeping is also a good way to increase work productivity, primarily by being able to measure more effectively how work is completed within a certain space of time. Working with clients on a close and personal level could very well lead to unnecessary distraction every so often, and glancing up at a clock is not the most reliable way to curb the impulse. Even if it is perceived as good from time to time, their time is still being spent – and not necessarily in the most productive way. Active timers help to keep you on point in your tasks, so you don’t ‘lose track of time’ when you are in the throes of research or note-taking or even during appointments. The best feature of automated timekeeping is its convenience. In many cloud-based law practice management software packages, like Zola Suite, timekeepers and timekeeping programs are already included. They can allow you to keep track of multiple events at a time, all as far out as your fingertips need to reach along with everything else you might need. 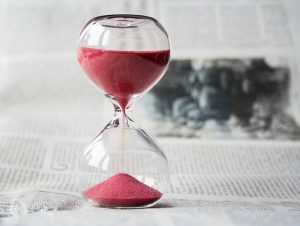 So, while you manage your time better by staying on task, you can also simultaneously manage your workload better by having all of the necessary files and contact information you will need to complete your tasks more effectively – all while resting with the assurances that your time-keeping and your billing are both correct. There is always the pen-and-paper method for the more on-hands do-it-yourselfer. But, in the interest of being more organized as a legal professional, wouldn’t you rather have your own time-keeping device right on hand (and best of all, with the rest of your information and work tools) instead of looking for a wall clock from which you could follow time every time you go out on an appointment or case-related event?